Ever since “Arcadia Campus: Virtual Tour”, vaporwave albums based around the concept of a place have been possible. This is one of the albums that are offshoots of the concepts of Arcadia Campus though without much of the flair. 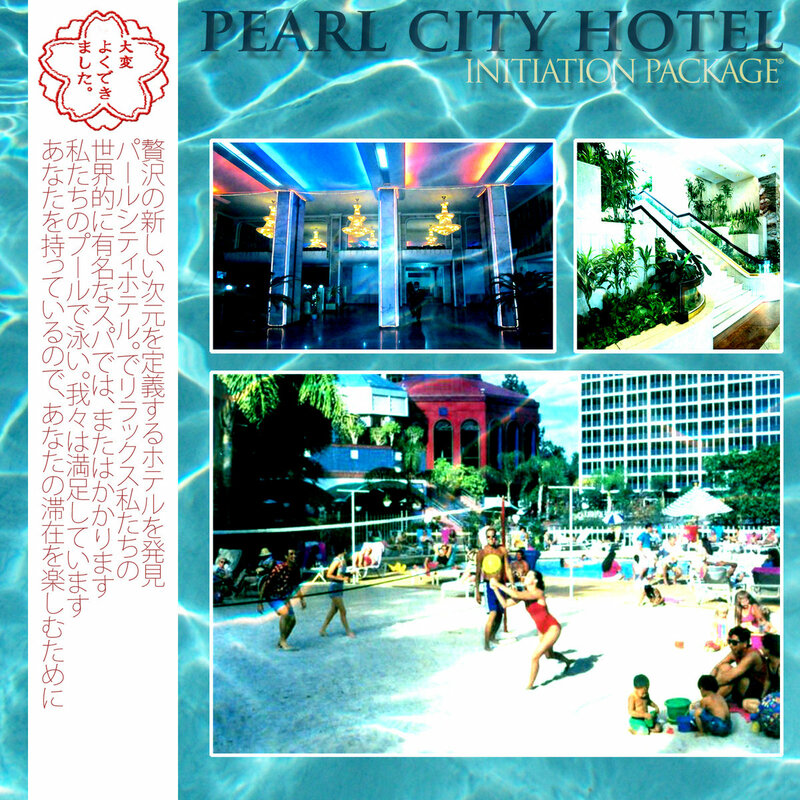 Ladies and gentlemen, meet “Initiation Package” from Pearl City Hotel. This thing is more traditional than the album that inspired it. There are influences of futurefunk, traditional vaporwave and chillwave weaved within it’s soundscapes. Everything tells a story about a titular hotel and the good times that are to be had in the hotel; while not as detailed, it’s still fun to imagine and visualize what’s going on. Various tricks are used on various tracks. Some have fade ins, others are lo-fi’d and some are even clear and crisp. This thing isn’t just the same throughout. It actually has some variety in there which makes the listening experience unexpected and fun. It also forms some sort of cohesiveness that really defines the project, nothing is random here and everything has a purpose leading to an exciting climax. The samples here are pure 80s so if you ever wanted to relive the 80s, here’s your chance. I wish more projects would deviate from 80s samples, there’s only so much music in the 80s that you could sample before it all gets boring therefore some points are knocked off for not doing much with the music available to sample. Don’t get me wrong, the 80s samples are good but too many 80s sampling is going on in vaporwave. Still, this thing is a good listen if you like vaporwave. Everything about it is professional while sounding a little bit raw sometimes, there is a story to be found and if you can find the story. Maybe you’ll find some enjoyment in this album.